This poster won first prize in the 1979 contest "Palestine: A Homeland Denied" which was sponsored by the Iraqi Cultural Centre in London. It is sometimes cataloged/referred to by the title: "Return To Sender". 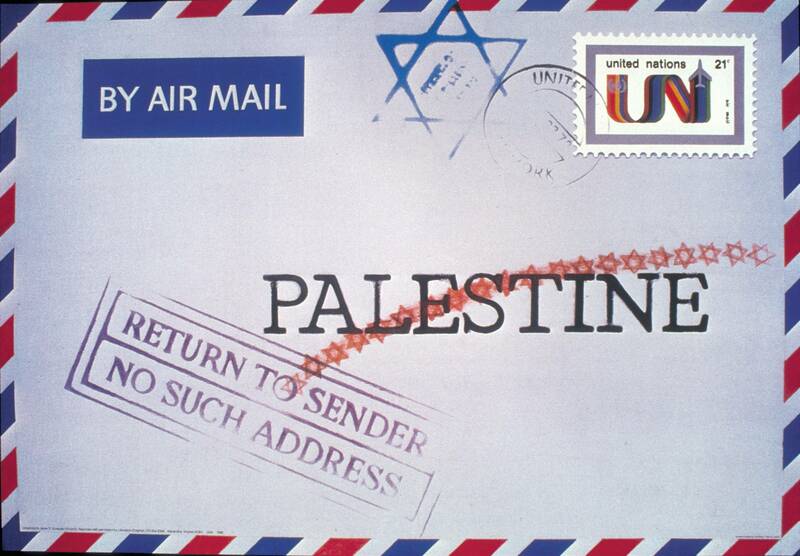 It was included in a Liberation Graphics-curated exhibit organized to compliment the 1983 United Nations Conference on the Question of Palestine.